The political controversy in Serbia is rising, with the President of the Republic Alexandar Vucic and the united opposition are preparing for the final battle to be given either on the polls or on the streets. At a moment when the protests of indignant citizens for Vucic’s totalitarian rule spread to many cities in Serbia and are strengthened in numbers, the President of the Republic, both out of arrogance and nervousness, has decided to tour the “four corners” of the country. The slogan of this tour, “For the future of Serbia”, has been baptized a campaign, in order to be given emphasis and dynamism in the eyes of the citizens. The title is hopeful and “catchy”, as is the advertising spot that shows Vucic inaugurating factories, schools, hospitals, highways, bridges, and distributing cheap apartments! If one who does not live in Serbia watches this spot, one will think that the people who live in this country must be very fortunate to have such a leader and happy that he will continue to govern them. In fact, this is exactly what Alexandar Vucic is trying to do with his tour. To convince citizens that they live better than they think. Thus, when he announced the “campaign for the future of Serbia”, he said he would visit the 29 regions of the country, about 100 municipalities, to inform the people about the achievements of his government and to assure them that new victories will follow in the future against poverty, unemployment and social deprivation. 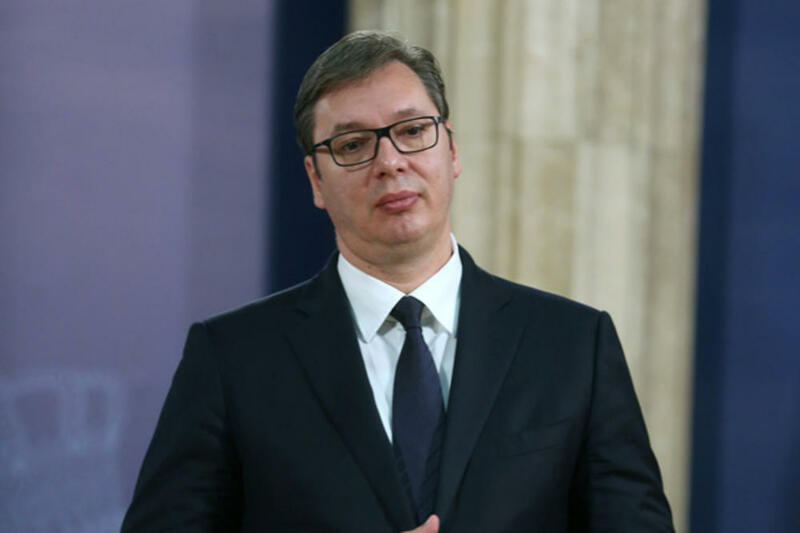 It is certain that Vucic will convince the people that they live better, and with the help of his supporters and willing media will win the impressions. As such, the success of the tour should be taken for granted. The question is how he will use this success. Will he lead the country lead to a snap parliamentary election or all of this is a demonstration of power and an effort to impress those who question him? The climate, however, in the Serbian Progressive Party (SNS) smells of election. Vucic still retains his foothold in public opinion, while on the other hand he is pushing for a Kosovo issue and may want to affirm his dominance in the ballots before making important decisions. So, one should not rule out the possibility of him calling an extraordinary press conference one Sunday (his favorite day to spoil the journalist’s lazy day), where he will announce his decision to resort to the ballot. Now, however, another problem has come up to spoil Vucic’s plans. Fifteen parties of the democratic opposition are trying to “throw him out of balance”, by signing yesterday a joint declaration, which they present as a “Contract with the People”. With this declaration they promise not to participate in the elections as long as there are no conditions to ensure that they are democratic, free and fair. The opposition also decided to withdraw from the institutions at all levels of power, from the National Assembly, the House of Vojvodina, and local government. In the ” Contract with the People ” the opposition parties pledged to run together, with a single ballot paper, if the conditions for holding democratic elections were created. Understanding the public’s dissatisfaction with the politicians expressed in the protests, the opposition parties have pledged in writing that the government they will form if they win the election will consist of widely accepted personalities, not involved in politics. Its term of office will last one year, a period which will be used to promote the democratization of the country and the reforms for the creation of a rule of law.